"Eva Mar" is a Mediterranean village in a unique place on the Costa Brava; A private urbanization, Martossa, with ecological beach. This comfortable villa is built on a Mediterranean style that seeks refuge from the strong heat while conserving all the light. Its interior design follows a tropical Mediterranean style with mango wood furniture and fresh natural fabrics. The Villa is surrounded by a beautiful tropical garden with exotic palms and aromatic Mediterranean plants to enjoy day and night. Thanks to the clean atmosphere you can make astronomical observations. Due to its situation in a high plane you can enjoy wonderful views of the sea and the sun all day, ideal for sunbathing. And to cool off there is the pool with current option so that you want to swim and with different depths. 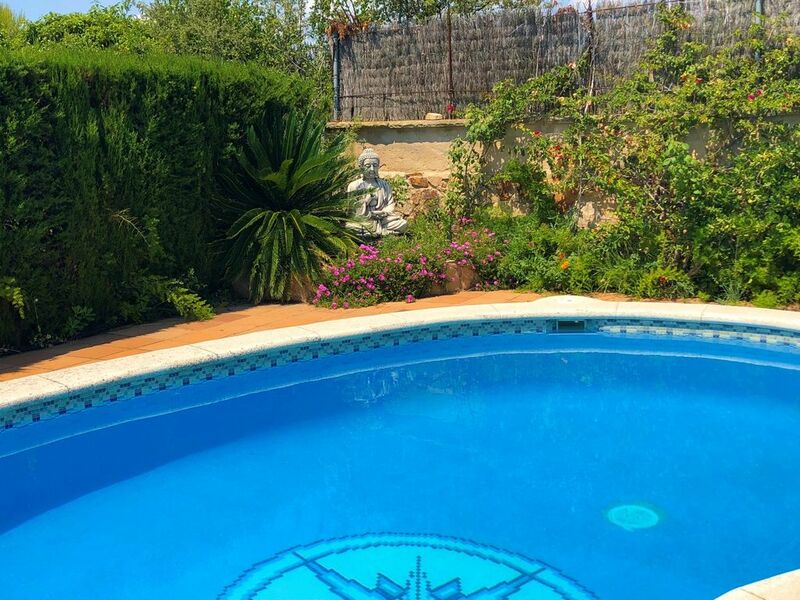 The villa is located in one of the few private and closed urbanizations of the Costa Brava, surrounded by forests and sea, far from the summer tourist mass. Martossa has very few neighbors with houses of one or two floors. There is no apartment building or hotels and therefore, tranquility is guaranteed. You can run, ride a bike, walk, around the urbanization and on the charming mountain roads. Its jewel is the exclusive beaches at approximately 500 meters on foot. Crystal clear turquoise waters that have a great biological underwater wealth. Martossa is also 5 minutes from the emblematic city of Tossa de Mar and also from Lloret de Mar. There are supermarkets, shops, restaurants and bus lines. Everything is very well connected with the AP7 highway to go anywhere.